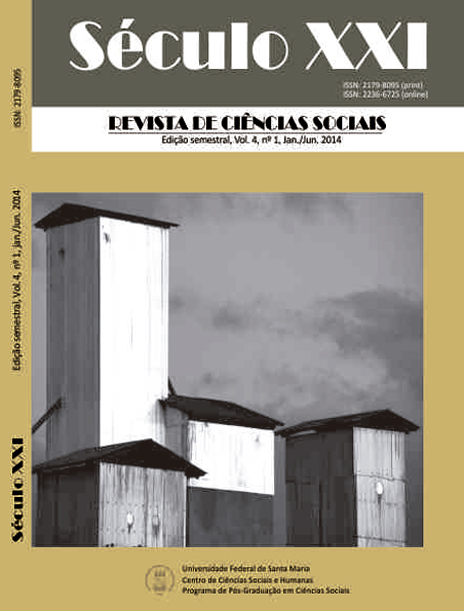 The Twenty-First Century - Review of Social Sciences is a semiannual publication of the Graduate Program in Social Sciences at the Center for Social and Human Sciences, Federal University of Santa Maria. Its editorial policy covers publication of unpublished works of the social sciences in the form of articles, reviews and communications research with academic and social relevance. 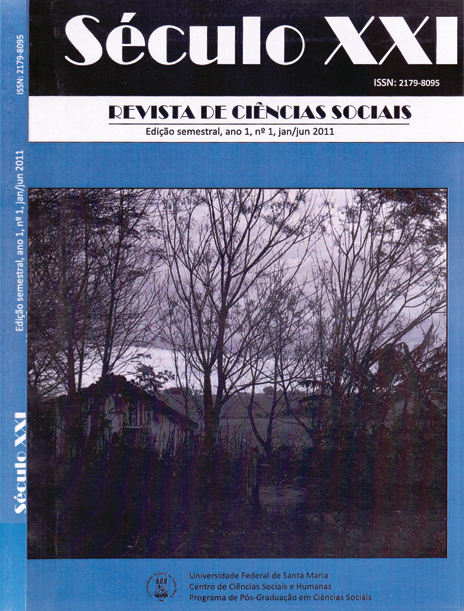 We encourage libraries to list this journal among their library of electronic journals. This publishing system is also designed to be hosted and operated by research libraries to support the work of publishing magazines faculty. For more information about the Electronic System for Journal Publishing - SEER / Open Journal Systems - OJS, and the management and publishing of peer-reviewed journals see Public Knowledge Project. 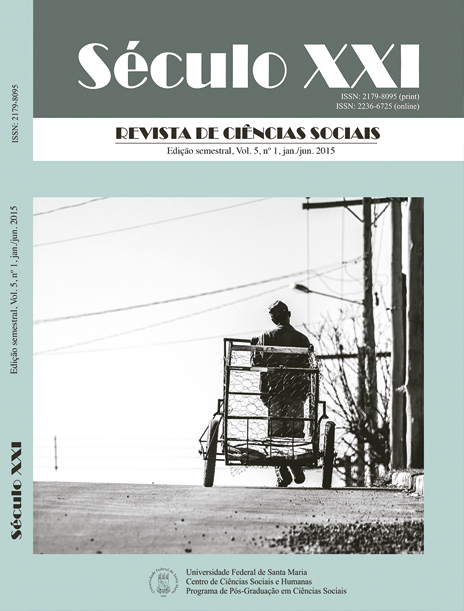 The Twenty-First Century - Review of Social Science is a biannual publication of the Graduate Program in Social Sciences at the Center for Social and Human Sciences, Universidade Federal de Santa Maria. 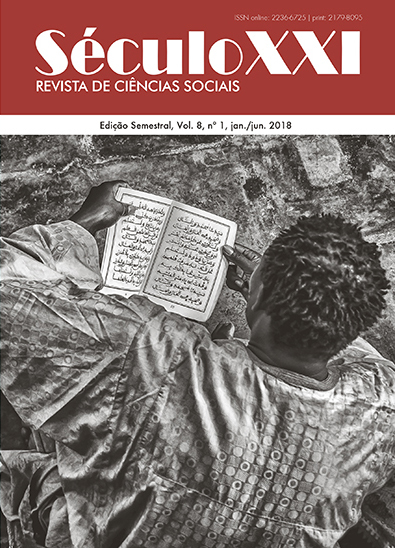 Its editorial policy covers publication of unpublished works of the social sciences in the form of articles, reviews and communications research with scientific and social relevance. 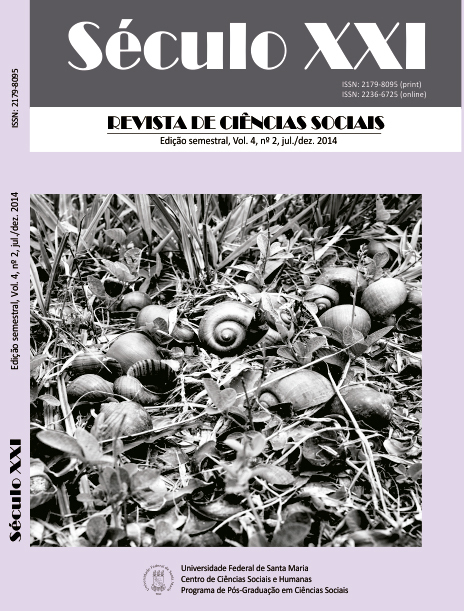 v. 8, n. 3 (2018): Edição Especial: Dossiê A Casa: Deslocamentos, Temporalidades e Habitabilidades. Foto da capa: "A Casa da Cascata de Pitsburgh" de Alain Demarcy. 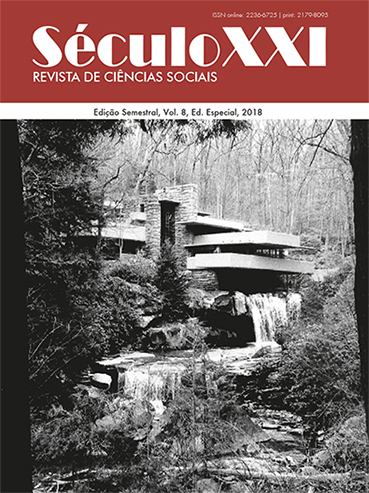 v. 8, n. 2 (2018): Dossiê Mundo do Trabalho em Transformação: novas tecnologias, processos produtivos e ação sindical. 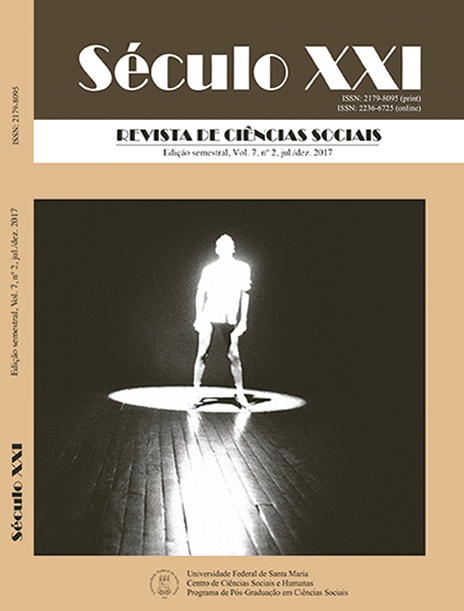 Foto da capa: “Sem título” de José Ricardo Ramalho. 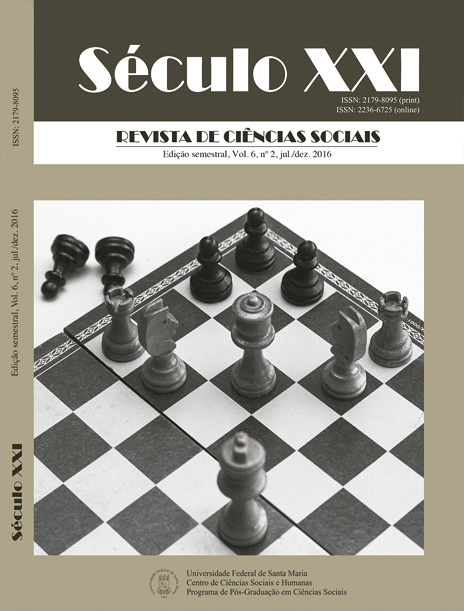 Foto da capa: “Sem título” de Marcia Marchetto. 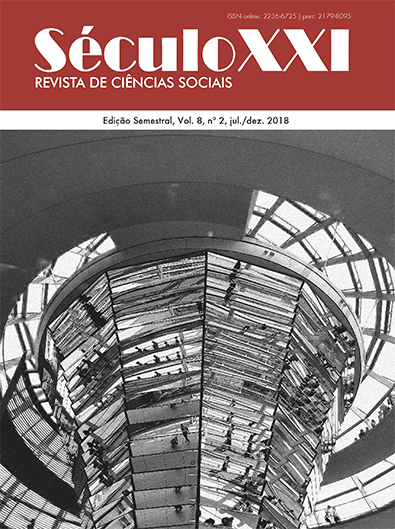 Foto da capa: "Sem título" de Rafael Happke. 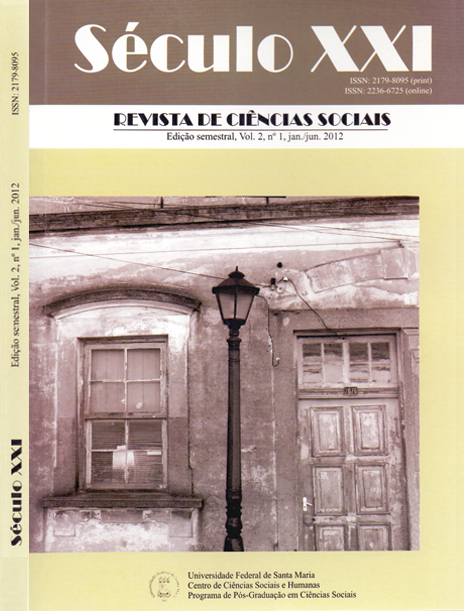 Foto da capa: "Tanger" de José Bezerra. 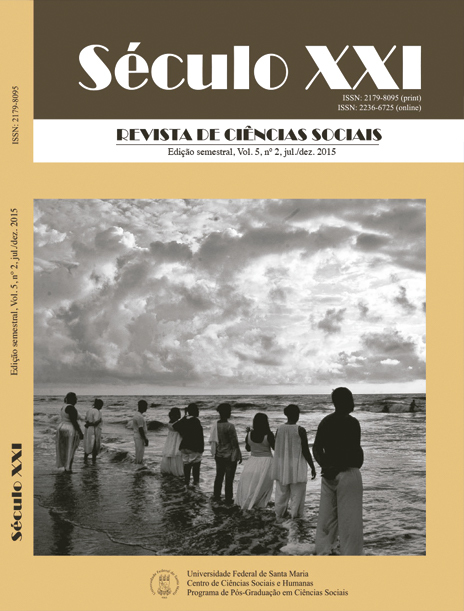 Foto da capa: "Em quadro" de Fernanda Sanjuan de Souza. 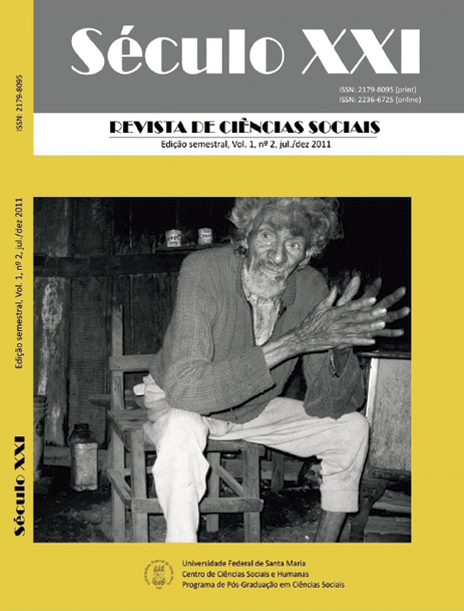 Foto da capa: "Sem título" de Tanam Hennicka. 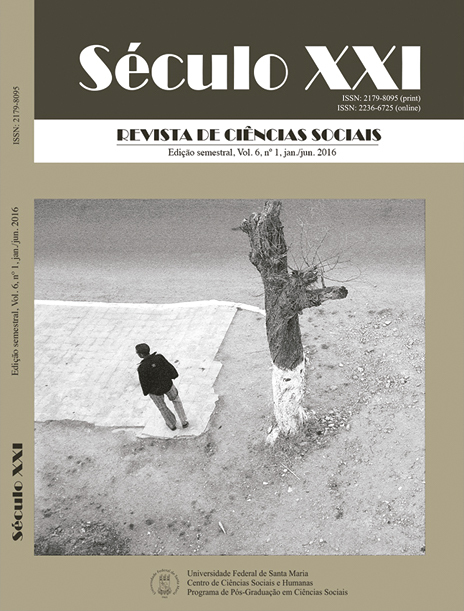 Foto da capa: "Catador solitário" de João Paulo Stefanello Vestena. 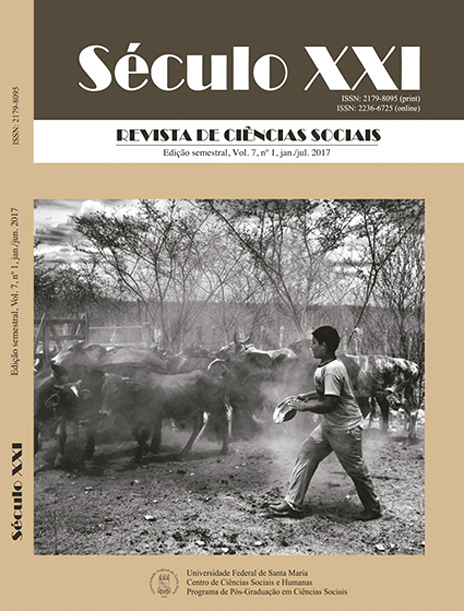 Foto da capa: "Castelos rurais" de Marcelo Soriano. 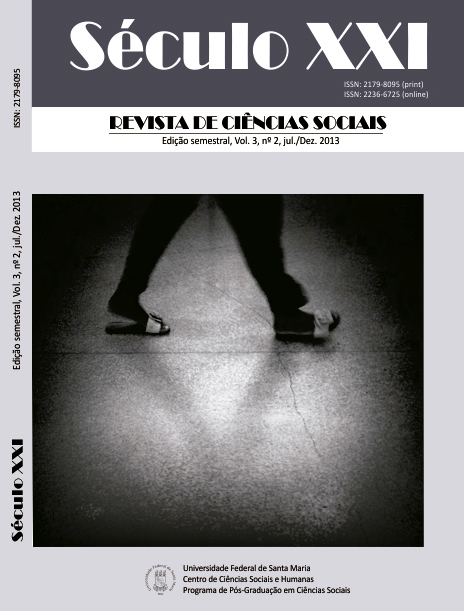 Foto da capa: "Mobile" de Luciana Abitante Swarowsky. 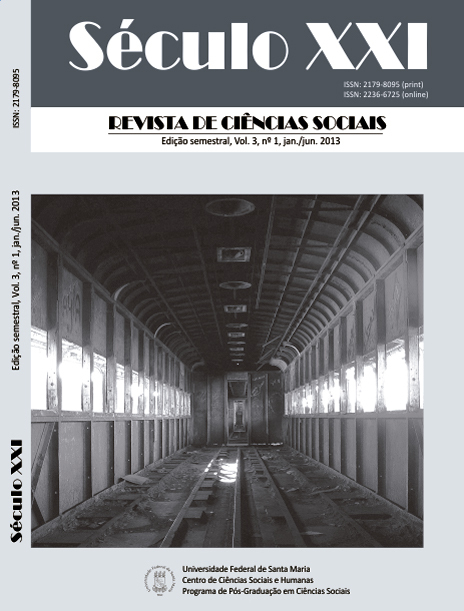 Foto da capa: "Vagão abandonado" de Marcelo Soriano. 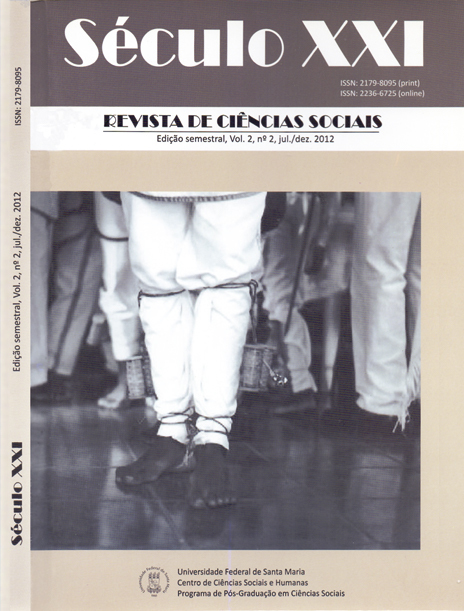 Foto da capa: "Detalhe da indumentária da dança Maçambique de Osório, RS, Brasil" de Marcelo Ribeiro. Foto da capa: "Fachada Vila Belga, Sta. Maria, RS, Brasil" de José Carlos Martines Belieiro Jr.
Foto da capa: "Sem título" de Cristiano Sobroza Monteiro.